In some parts of the world, Easter is a Spring celebration, but no matter what season it is where you are, you can't help but think of flowers! 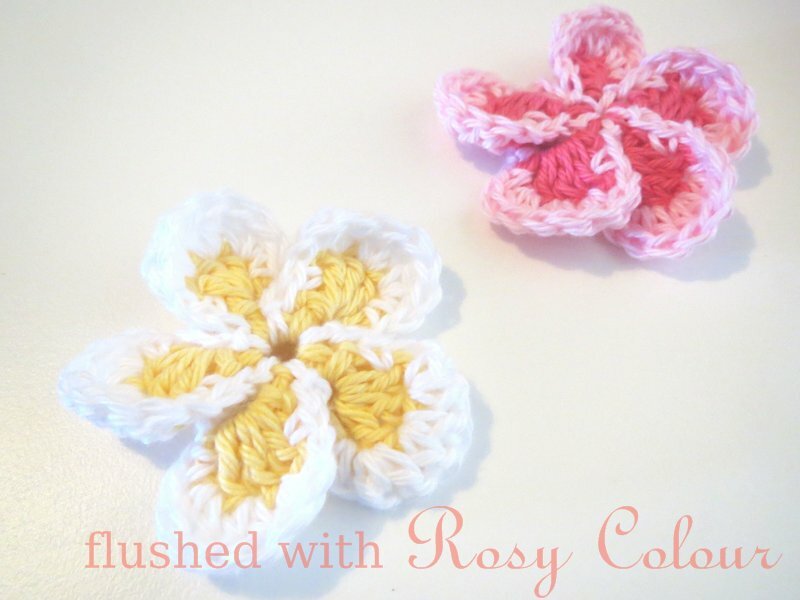 Here are 7 different types of flowers I tried out the other day, fooling around to find different ways to crochet flowers. These 7 flowers were all made up off the top of my head, I didn't follow a pattern. I was mainly trying out the idea of a petal having chains on either side, instead of a descending pattern of stitches like I usually do. These flowers with large petals are (4 ch 2 trb) in same, (2 trb 4 ch sl st) in next. Smaller petals are (2 ch 1 dc) in same, (1 dc 2 ch sl st) in next. Some flowers have a sc centre, while others have a dc centre. A couple of flowers don't have a separate centre at all and the petals work into the starting loop. All these flowers have 5 petals so I could really try out different arrangements of basically the same idea. I used the last of my first ball of variegated acrylic from Wangaratta Mill. I'm very glad I still have another 100g ball of this left! I think I used the 3.5mm hook. I'm not sure what I'll use these flowers for, but it was a very good exercise to learn there are many simple ways to crochet flowers, and I don't really have to follow a strict pattern. A very appropriate fiddle while waiting for Easter to arrive!